Welcome to the 5th and final day of my Fall Decor Blog Series! Today's decor project doubles as party favors. I also created a tutorial to show you how to make them. You can find the tutorial here. Welcome to Day 4 of the Fall Decor Blog series! Today's inspiration piece is another whimsical tag. Click here to see the full tag. It's only nearing the end of September but it's getting rather chilly here already. The slice of warm sunshine on our honey-colored wood floor, the crab apple tree outside, a few maple leaves starting to turn into their gorgeous glorious colors are all getting me into the mood for autumn decor. All of this week, I am planning to share with you inspiration and/or tutorials for the Fall crafts I'm creating around my house. Here's a DIY Entomology Specimen Display or to put simply, a bug box - a not-too-frightening Halloween decor tutorial for Day 3! Here's a whimsical tag inspiration piece for you for Day 2! Click here to see the whole tag and access the supply list. Here's a not-too-frightening Halloween decor tutorial for Day 1! Today is the first day of Autumn and it's my favorite season! 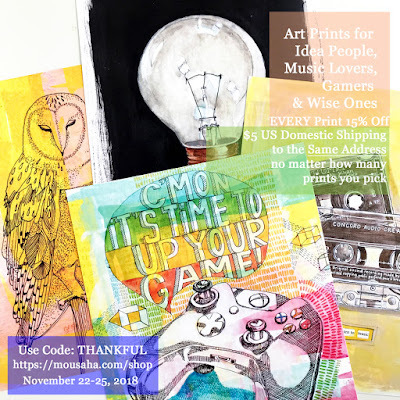 To celebrate, I am offering 15% discount on ALL my downloadable and printable coloring books/ image collections this weekend (9/22/18 - 9/23/18) only! Prices are adjusted, no code needed. Not only that. I am also launching my newest image collection 'Hello Fall' TODAY! Sweater weather, pumpkin spice flavor and glorious colors all around – that is autumn where I live and I love every bit of it. This gorgeous season inspired me to draw the colorful leaves, the pumpkin gingersnap pie scented candle, the crab apple sprigs, the squirrels that so actively gather acorns, the back-to-school supplies, fall outfits for picture day, the puffy cotton flowers, the strangely shaped gourds, the sunflowers bigger than my daughter’s head, the Halloween decorations, the wreath I made myself for Thanksgiving and many more. 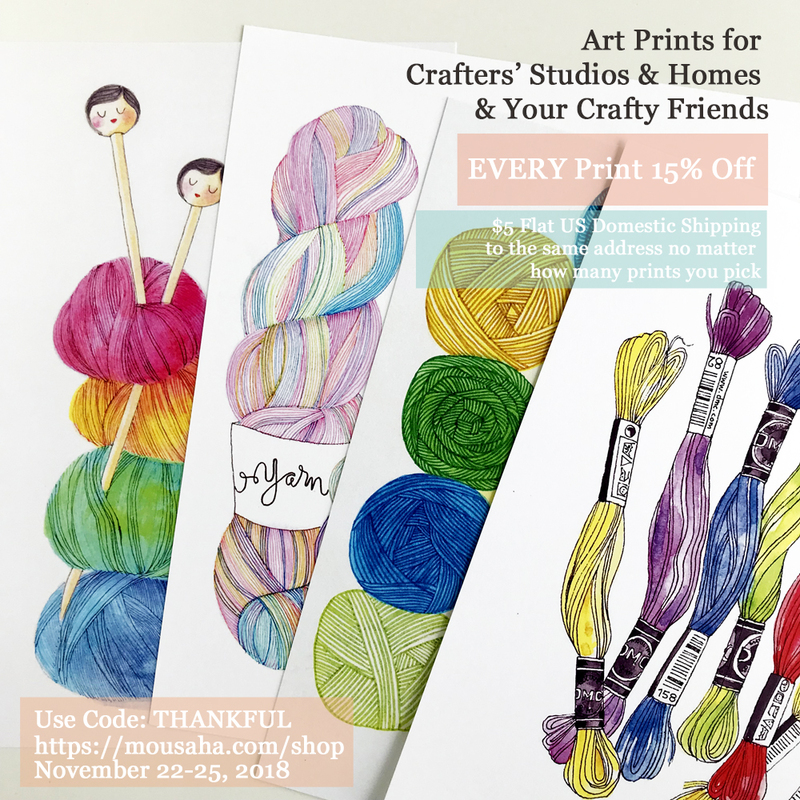 I put these line drawings together in a downloadable and printable collection that you can color as well as use as collage images in your art journals, mixed media art and more. 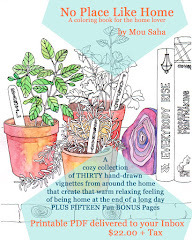 You are also going to get 15 bonus pages with ideas for coloring and art journal pages. Because you can adjust the print sizes of these images, you can even use them in your planners. 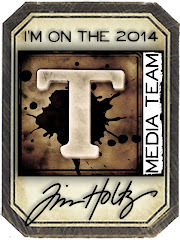 Print as many times as you need to embellish your personal art projects. 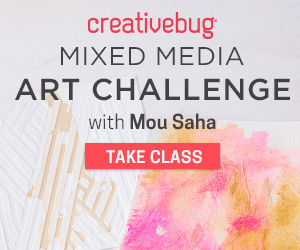 Whatever you choose to create, these images will do the hard work for you! 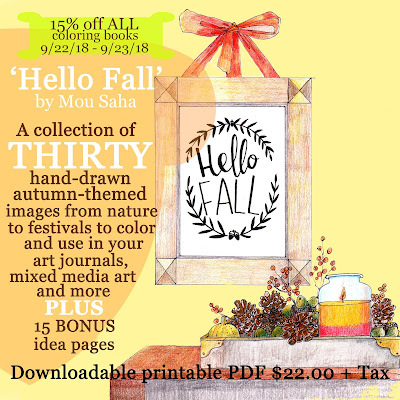 This printable image collection is about all things FALL. You can instantly download the printable PDF following the completion of your payment. You can download the PDF UP TO 3 TIMES just in case the first attempt fails. No shipping fee, no waiting for the mail. You can print and reprint as many times as you want! You would normally pay anywhere between $1.67 and $5 for a SINGLE printable coloring page on Etsy after scrolling for hours to find one you really like. 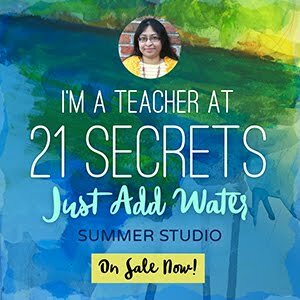 My goal is to make this easy and affordable for you. ** This is a digital product that you will download. No physical product will be shipped. **NO REFUNDS on this product. ** Copyright © 2018 Mou Saha. All rights reserved. You can print these drawings only for personal, non-commercial use. Restrictions include but are: not limited to the following: you cannot resale these drawings, sell them as finished paintings or any art derived from them, submit for publication, teach classes using them, copy and/or distribute them in any form without my written permission. Something new and amazing has just been born! :) My friend Tamara Laporte from Willowing Arts has just opened registration for The (free) Life Book Creativity & Wellbeing Summit! 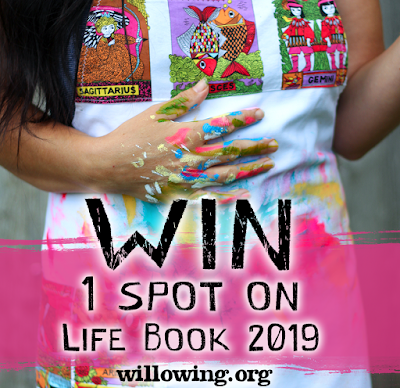 She has interviewed a wide range of Life Book 2019 Teachers for it and guess what?! 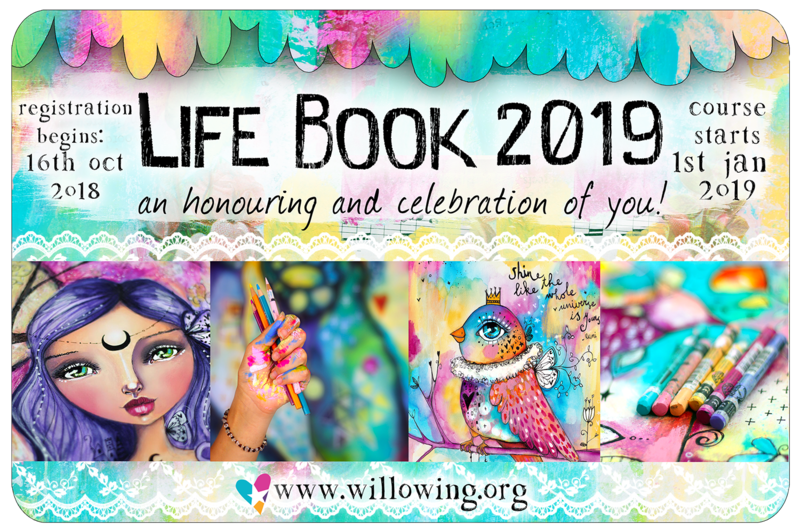 I’m one of the speakers AND I’m also a teacher on Life Book 2019 next year! 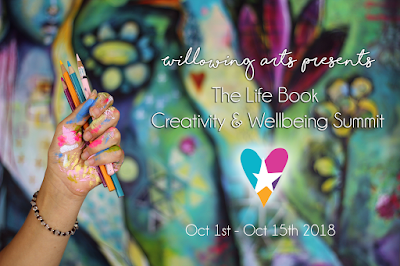 Not only is this Summit filled with inspiring interviews with amazing artists, but we each also provide a FREE creative and wellness activity for you that you can access for 2 weeks! For my free activity we’ll do a Tag Book Timeline of your Creative Journey. Here's a quick peek at mine! 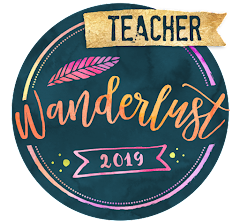 I'm SO PLEASED to announce that I am a teacher for Wanderlust 2019! 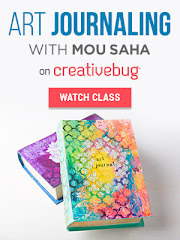 Wanderlust 2019 is a year-long self-paced mixed media online workshop taught by 26 amazing teachers with a wide variety of styles. You'll get 49 high-quality full-length streamable (and downloadable) video lessons every Friday starting January 4th, 2019. You'll also get lifetime access plus a ton of creative bonuses. The regular price for Wanderlust 2019 is $150 USD, but if you sign up by December 31st, 2018, you'll get a 30% Early Bird Discount. Just use the code EARLY30 and you'll pay only $105 USD (approx. 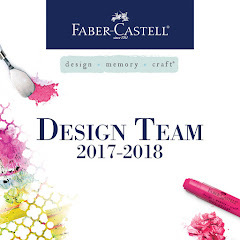 £81, €90) for a whole year of classes! Isn't that wonderful? Click here to get all the juicy details and sign up TODAY to take advantage of the whopping discount! You can find the fifth page right here. 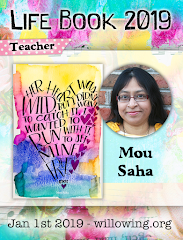 If you do create some pages along with me, please use the hashtag #mousaha and tag me on Instagram @mou.saha.studio and on Facebook @MouSahaStudio. You can find the fourth page right here. You can find the third page right here. You can find the second page right here. You can find the first page right here. I love organization products. I have such a wide variety of baskets, boxes, carts and shelves! I am also inspired by my supplies, so I like to have them on display on my desk. So, I put my stash away in boxes on shelves and leave smaller quantities of certain things out in smaller organizers within my reach when I work at my desk. These items get used up and replenished or rotated. I even make my own organizers or alter existing ones using my crafting supplies. Here are a mini magazine holder style organizer and a washi tape box I created using Sizzix dies by Eileen Hull and Courtney Chilson. On a Sizzix Accessory - Cutting Pads, Extended, lay the Sizzix ScoreBoards XL Die - Card Box, Planner Storage & Organizer, blade side up. 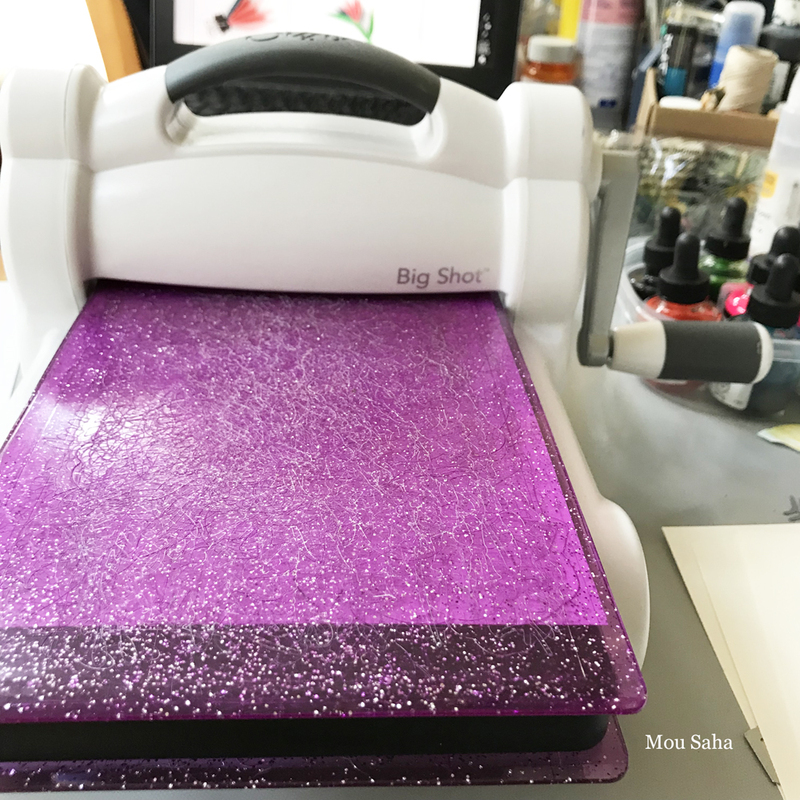 Place a sheet of white Sizzix Little Sizzles - 6" x 13" Mat Board on the die and cover with the other Extended Cutting Pad. 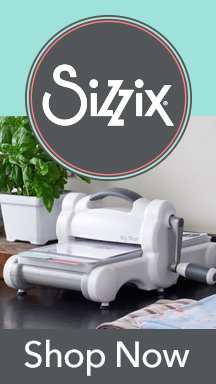 Place the whole Sizzix Sandwich on the platform of the Sizzix Big Shot Machine Only (White and Gray) and start turning the handle. The rollers in the Big Shot machine will propel the entire sandwich through the machine and you’ll have your die-cut pieces ready. To assemble the Planner Storage & Organizer, fold the tabs of the die-cut Planner Storage & Organizer along the crease lines. Apply adhesive on the tabs and press to the facing surface. TIP: Because the mat boards are thick, you may need rubber bands to hold the shape while the adhesive sets. Use gel medium to add a layer of tissue to the Planner Storage & Organizer. Seal with a top coat of gel medium. Once the medium dries, add some colors to the Planner Storage & Organizer with Gelatos colors or you favorite paints. Embellish the spine of the Planner Storage & Organizer. On a Sizzix Accessory - Cutting Pad, Standard, lay the Sizzix Bigz L Die - Washi Tape Box, blade side up. Place a sheet of white Sizzix Little Sizzles - 6" x 13" Mat Board on the die and cover with the other Standard Cutting Pad. NOTE: You will need to die-cut two of the short side pieces and three of the long side pieces (two for the sides and one for the bottom) to complete one Washi Tape Box. Cut along the crease line of one of the long side pieces with scissors to create the bottom piece. Assemble the Washi Tape Box by applying adhesive to the tabs and pressing them to the facing surface. The long strip with a crease line down the middle will act as a hinge for your box lid. Cut a dowel slightly longer than the width of the Washi Tape Box. Attach a die-cut circle to one end of the dowel to keep the tape rolls from sliding out. I pushed a mini wood finial at the other end of the dowel so I can take the rolls out when I needed. Do not use adhesive with the finial or your dowel can not be taken out of the Washi Tape Box. 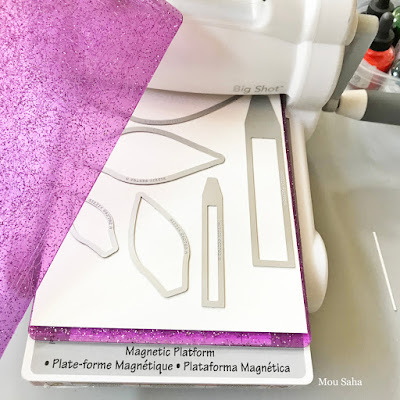 On SizzixAccessory - Standard Magnetic Platform for Wafer-Thin Dies, lay another Sizzix Accessory - Cutting Pads, Standard, 1 Pair (Purple w/Silver Glitter). 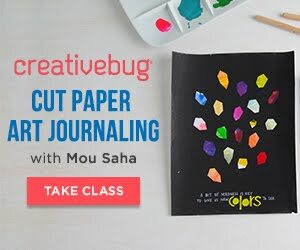 Place your watercolor paper on it. Lay out assorted leaf dies from the Sizzix Thinlits Die Set 15PK - Funky Floral #2 and Sizzix Thinlits Die Set 15PK - Funky Floral #3, blade side down on the paper. The strong magnets of the StandardMagnetic Platform for Wafer-Thin Dies will hold your Thinlits dies securely in place for precision cutting. Place the other Standard Cutting Pad on top and start turning the handle of your SizzixBig Shot Machine Only (White and Gray). The rollers in the Big Shot machine will propel the entire sandwich through the machine and you’ll have your die-cut pieces ready. Decorate the Washi Tape Box with tapes, paints, flower and leaves. Slide your washi tape rolls into the dowel and place the dowel inside the Washi Tape Box and push the finial to hold the dowel in place. Close the box lid. You can create as many of these as you want to keep your studio and art desk organized and create a personalized handcrafted look for your home that will inspire you every time you step in to create art! My mom had this powder mauve crushed velvet pillow-top trinket box with a golden latch which I loved to explore as a kid. In it were semi-precious stones, some of them family heirlooms, that I held up against the sunlight with my tiny fingers and watched them sparkle. They looked so magical as the light revealed streaks of colors hidden in their hearts. My imagination traveled to far-off places with these translucent enchanting gems. Even as a grown-up, I still find trinket boxes to be fascinating! Lately, Jia, my youngest, is starting to enjoy Tinkerbell and other fairy stories. This made it the perfect time to make her a fairy trinket box of her own. On a Sizzix Accessory - Cutting Pads, Extended, lay the Sizzix ScoreBoards XL Die - Book and Pages, Trinket Box and Frame, blade side up. Since I wanted a window on the top cover of my Trinket Box, I placed the Movers and Shapers Magnetic Oval die from the Sizzix ScoreBoards XL Die - Book and Pages, Trinket Box and Frame, to cut the window simultaneously with the remaining pieces. NOTE: You will need to die-cut two of the arching pieces (the part from which you cut the window for the front) to complete one box. You don't need to cut the window for the second piece because it will go at the base or back. To assemble the box part of the Trinket Box, fold along the creased lines, match up the flaps and apply adhesive to hold the two side pieces together. Attach the base piece with adhesive. Cut a piece of clear acetate with scissors to fit behind the die-cut window. Attach it with adhesive. Attach the front and back pieces of the Trinket Box to the two long edges of the spine with adhesive. Attach the assembled box to the inside of the back cover. Paint the box with Gelatos colors and blend them with Gesso using a paint brush. Once the base layer of colors dries, start adding embellishments to your Trinket Box. Be sure to paint the insides of the Trinket Box as well. On SizzixAccessory - Standard Magnetic Platform for Wafer-Thin Dies, lay another SizzixAccessory - Cutting Pads, Standard, 1 Pair (Purple w/Silver Glitter). Place your watercolor paper on it. Lay out the Sizzix Thinlits Die - Fanciful Fairy and assorted leaf dies from the Sizzix Thinlits Die Set 15PK - Funky Floral #2 and Sizzix Thinlits Die Set 15PK - Funky Floral #3, blade side down on the paper. The strong magnets of the StandardMagnetic Platform for Wafer-Thin Dies will hold your Thinlits dies securely in place for precision cutting. Paint the fairy and leaves as you like and set them aside while you decorate the base of the Trinket Box. I attached a piece of patterned paper to cover up the adhesive joints. Use the cut-out oval shape from the window as a template to mark the spot where you'll add your fairy. Apply Gel Medium around the marked spot and sprinkle in silver glitter. Let the glitter sit for some time and seal it with a top coat of gel medium. Some of the loose glitter will fall off and that's okay. The glitter, of course, is totally optional. I added it to mimic 'pixie dust'. Mount the fairy to the painted oval shape and mount the oval to the center of the box. I added some leaves and flower to the fairy to finish. I hope you enjoy this tutorial. I had so much fun making this Trinket Box and I believe you'll too! Recently, I took my three-year-old to a Moana theme party. There were Tiki posters, fruit punches and other tropical touches and of course, music, to make the luau come alive. The girls danced in grass skirts and the boys ran around in their leis. Everyone was having a good time and it reminded me of the time we were in Hawaii at a real luau complete with Piña coladas with tiny umbrellas, the time long before the aforementioned three-year-old was even born! 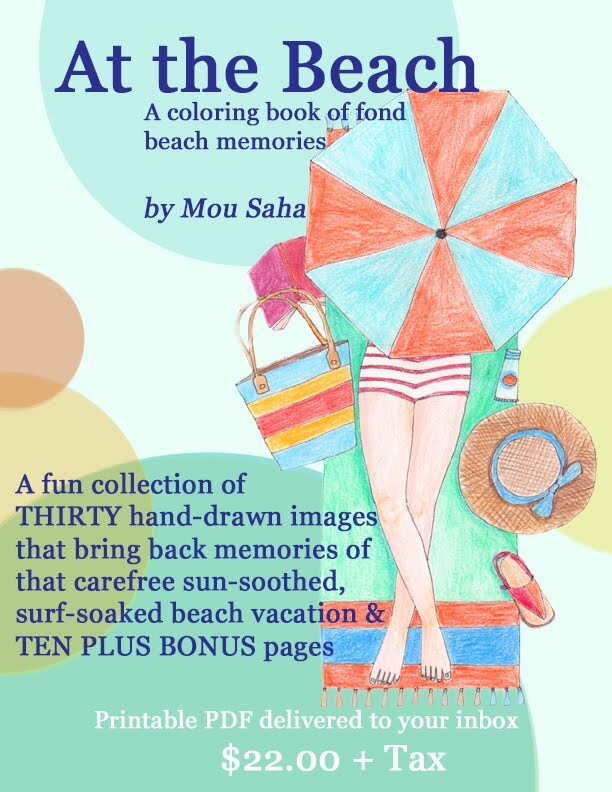 I remembered our secluded resort bungalow that had a pool edged by bushes of birds of paradise and fresh floral arrangements that adorned the lacquered bamboo side tables. There's no way I could match that kind of pro floral arrangement skills, but I could make something simple to remind me of the magical time we had there. 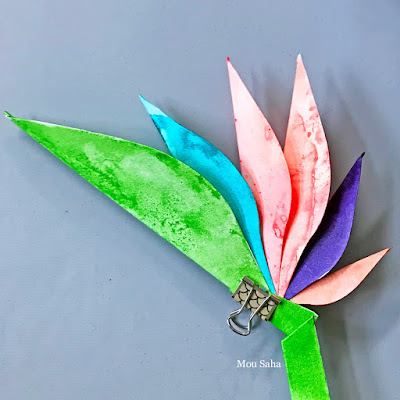 So, I pulled out my Bird of Paradise and Geometric Holder dies and set out to create my own little floral centerpiece! I am using watercolor paper for die-cutting because I plan on using paints to color my pieces. But you can get stunning results with your favorite patterned papers too. On the Sizzix Accessory - Cutting Pad, Standard, place the Sizzix Bigz L Die - Geometric Holder, Tall 3-D blade-side up. Lay watercolor paper cut to fit through the Sizzix Big Shot Machine on the die and cover with the other Standard Cutting Pad. Start turning the handle of your Sizzix Big Shot Machine Only (White and Gray). The rollers in the Big Shot machine will propel the entire sandwich through the machine and you’ll have your die-cut pieces ready. You'll need four of the biggest pieces for the side panels, one square piece for the bottom and the triangular pieces are for decorative layering which I skipped. 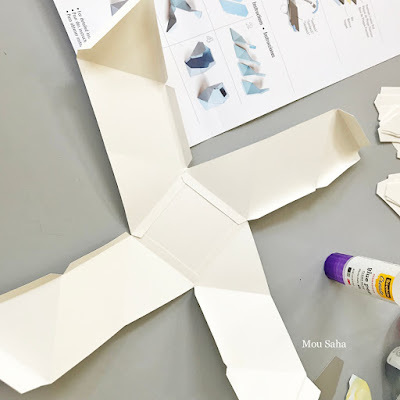 NOTE: Now, as tempting as it is to cut all four of the side panel pieces together and you CAN do that with the Sizzix Bigz dies, I suggest that you cut one side panel piece at a time. Why so? Well, there are not only cut lines in these pieces, there are scores lines for folding as well. 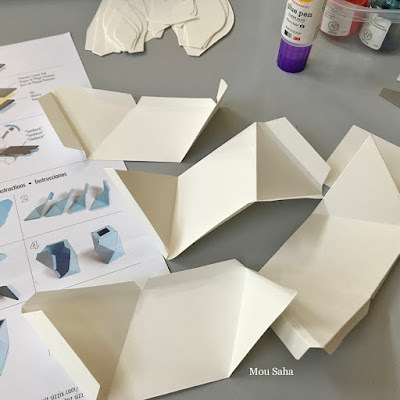 And in my experience, when you stack your papers for quick die-cutting, the extra pressure that it puts to cut through the layers, might cut through some of those score lines, thus detaching the scored foldable tabs, making it difficult, even impossible, to attach the pieces together. So, take your time with this and the rest of the process will go much smoother. On Sizzix Accessory - Standard Magnetic Platform for Wafer-Thin Dies, lay another Sizzix Accessory - Cutting Pads, Standard, 1 Pair (Purple w/Silver Glitter). 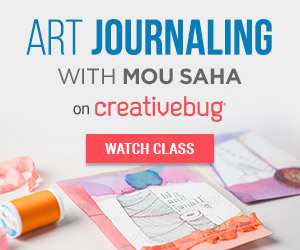 Place your watercolor paper on it. Lay out the dies from the Sizzix Framelits Die Set 6PK - Bird of Paradise, 2-D and 3-D, blade side down on the paper. The strong magnets of the Standard Magnetic Platform for Wafer-Thin Dies will hold your Thinlits die securely in place for precision cutting. Place the other Standard Cutting Pad on top and start turning the handle of your Sizzix Big Shot Machine Only (White & Gray). The rollers in the Big Shot machine will propel the entire sandwich through the machine and you’ll have your die-cut pieces ready. You'll notice that there are some bigger and smaller stems and petals in the mix. The smaller die-cuts are designed for the two-dimensional flowers and the larger pieces for the three-dimensional flowers. But I ended up creating three-dimensional flowers using all the pieces, big and small. Fold the pieces of the Geometric Holder, Tall 3-D following the score lines. Start attaching the side panel pieces to the base square with adhesive as shown. Remember, the small tabs go at the bottom and the bigger ones will go at the top. Apply adhesive to the side tabs of one panel and attach it to the next panel and continue to do so till the entire Geometric Holder, Tall 3-D is assembled. Fold back the top tabs in and secure with adhesive. Set it aside for now. I have to say I was a little worried that my Geometric Holder, Tall 3-D may not look right, but it was so easy the way it came together almost magically! Follow the score lines on the large stems and fold them. Fold the leaves and petals in halves vertically as shown. 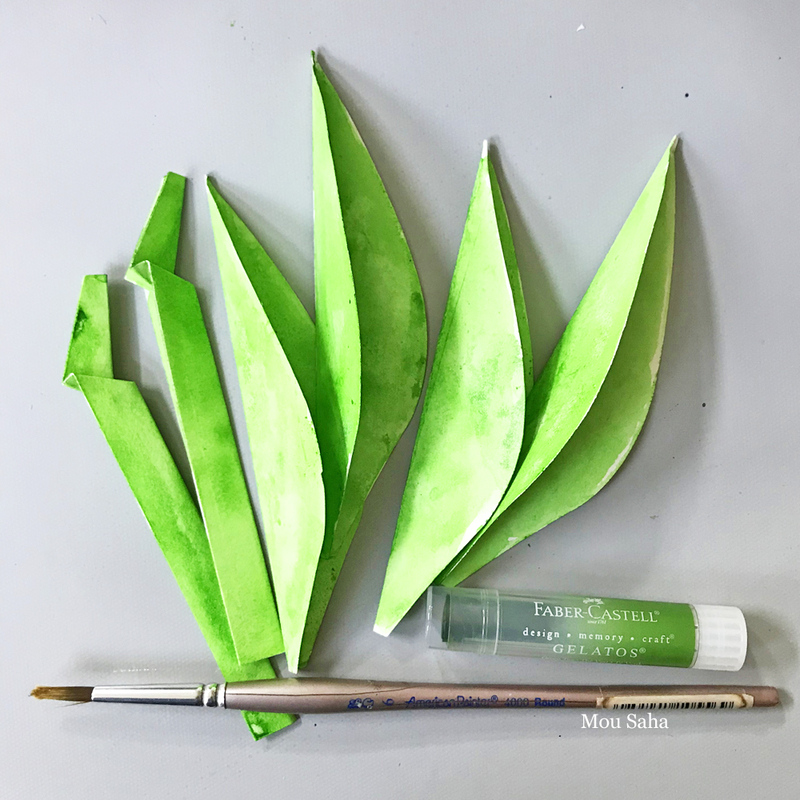 I used a bone folder to create clean edges for the leaves and petals. Color the stems and the biggest leaves green. I used Gelatos colors and blended them with water using a paint brush. 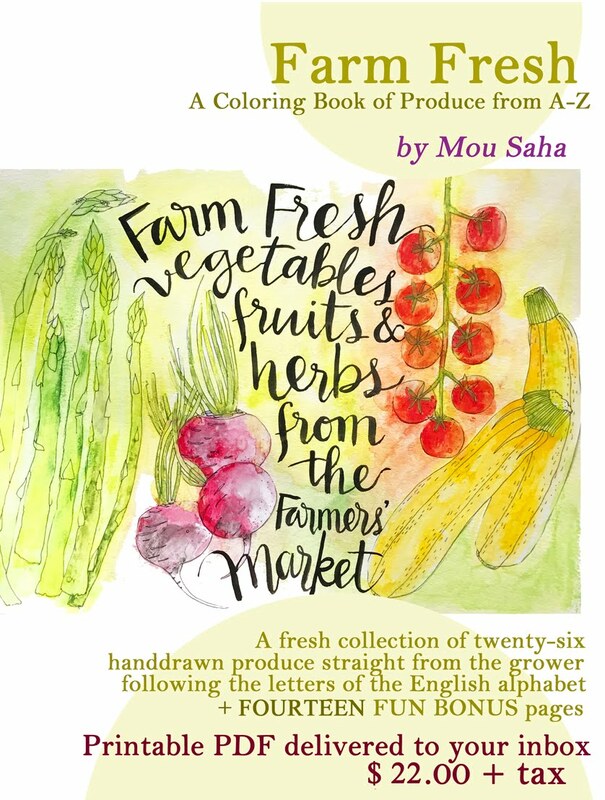 Use your favorite coloring medium for this step. 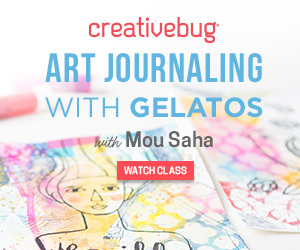 Rub Gelatos colors generously on craft mat and spritz water to dilute the pigments. 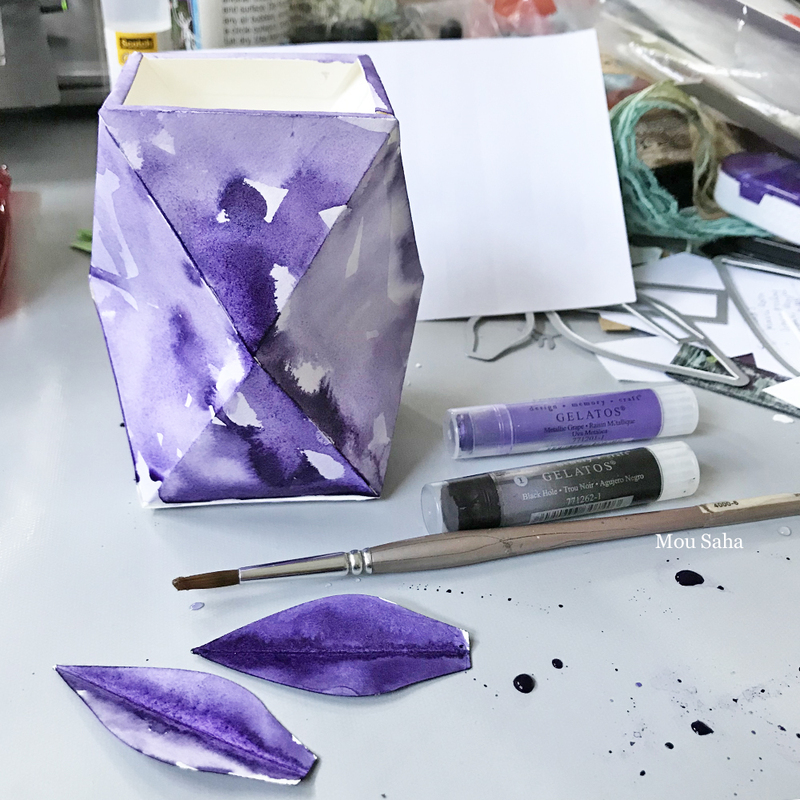 Paint the Geometric Holder, Tall 3-D with clean water to moisten the surface and then drop in diluted Gelatos colors for a watercolored effect. Color some of the petals with the same colors. Color the remaining petals with Gelatos colors. 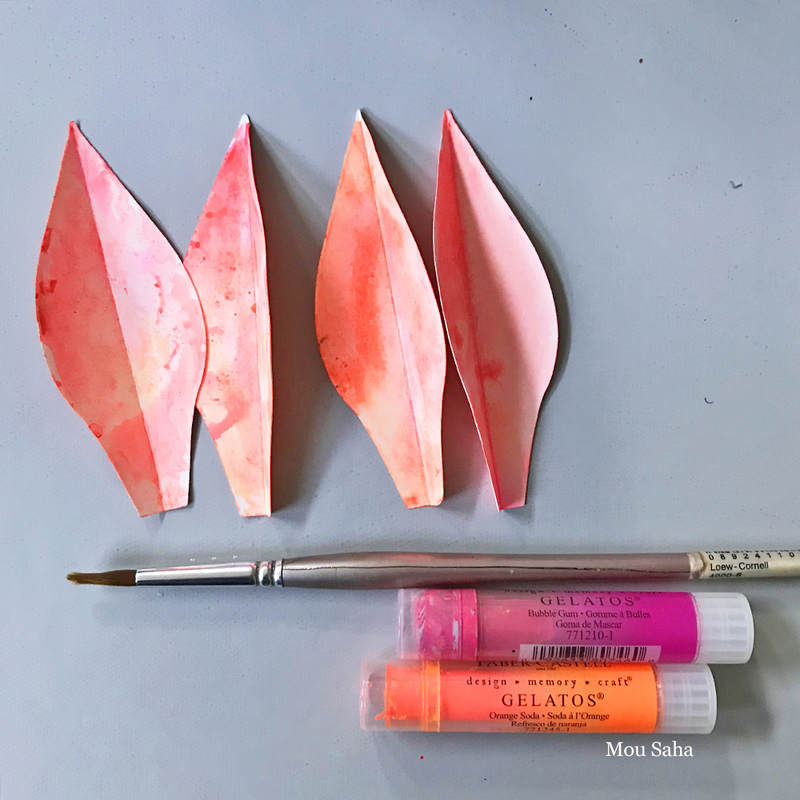 Apply adhesive to the base of the petals (the pointed tip is the top and the flat end is the base) and stagger them as shown. Hold the petals and stem together with a clip while the adhesive sets. Geometric Holder, Tall 3-D. I attached the smaller stems to the bigger stems at different height points with adhesive to create the height difference. 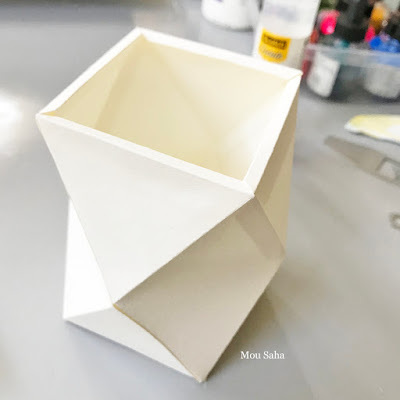 Place the Geometric Holder, Tall 3-D where you want to display it and fill with some light weight pebbles or other kind of filler and stick the floral stems in. The pebbles or fillers will hold the stems in place and not let them flop around in the vase. I hope you enjoyed today's tutorial! Try out these dies, they are very well-designed making it very easy to put together a decor piece in no time at all!